In the summer of 1988 Chef Bob Hurley planted his roots firmly in the California Wine Country, first as a chef at Domaine Chandon, then later as Executive Chef at the Napa Valley Grille. In November 2002 he opened his own restaurant, Hurley’s Restaurant, in Yountville, California. Chef Hurley describes his menu as local California cuisine high in flavor and influenced by the Mediterranean so that it fits very well with wine. The regular menu offers a wide array of options. The “Wine Country” theme allows diversity so that it is not tied down to a particular style or ethnicity. It is creative food done simply and he always has two or three wild game selections as well. The menus are revised about three times each year to take advantage of seasonal changes, particularly with produce and seafood. Fall brings on wonderful risottos with wild mushrooms and squashes, and in the chilly winter it’s time for the deep rich braises with root vegetables and hearty potato based soups. His summer menu lightens up again with fresh vine ripened heirloom tomatoes, sweet corn, and wonderful summer stone fruit. 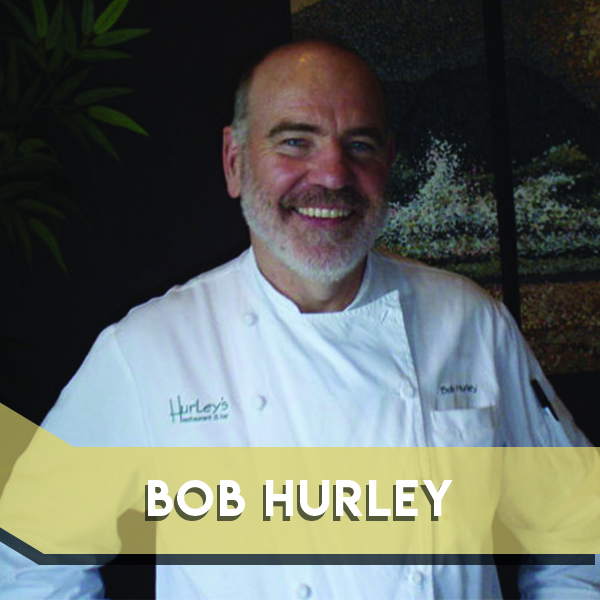 Since Chef Hurley began cooking professionally more than 30 years ago, he has always had a strong belief that the use of regional, seasonal ingredients is important on many different levels. It promotes sustainability, showcases local producers and provides the finest dining experience to the customer. He says that the Napa Valley is particularly blessed with a wide range of such products, from produce and meats to fish and fruits, as well as artisanal breads, cheeses, oils and much more. This philosophy is a guiding light behind the menu development at Hurley’s Restaurant.